A far more modern design than the simple Bar Stool. This model takes some cues from the Egg Chair design of the 1950�s. The curved backrests aid comfortable sitting and have a unique visual style. 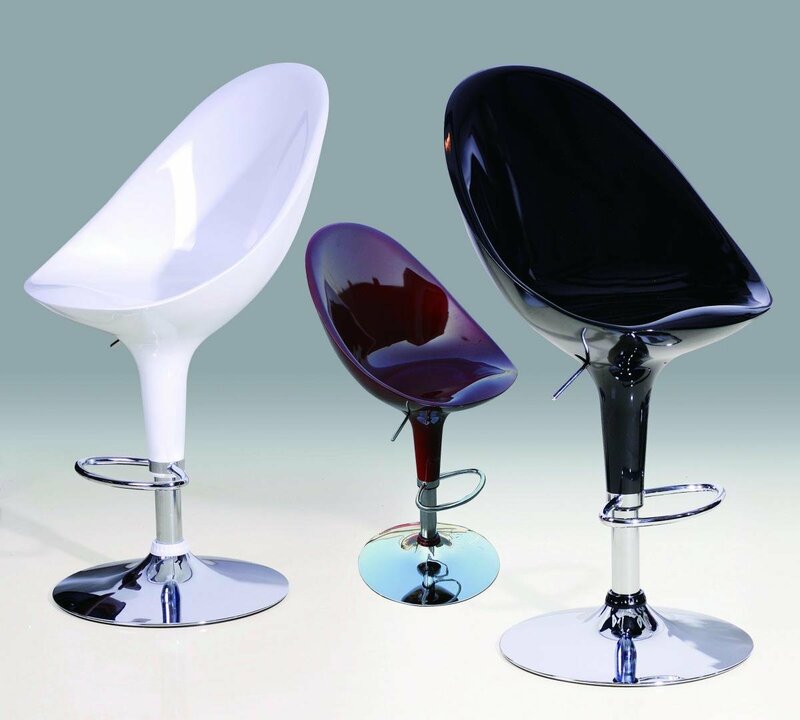 With a polished Chrome Footrest and base, this Bar Stool is stylish, comfortable and unique: perfect for any modern and unique home design.